Tudormania continues its invasion of America. Later this month at the Met, Sondra Radvanovsky will have added the third and final jewel to her Donizetti crown when she sings Elizabeth in Roberto Devereux. 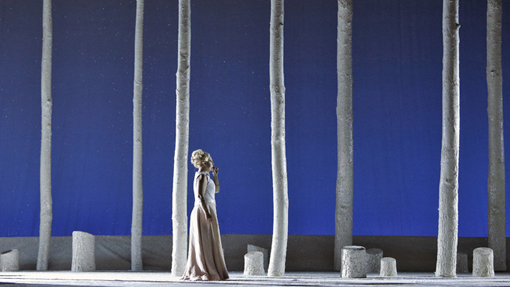 And across the continent, Seattle Opera has been presenting its company debut of Maria Stuarda (1835). Nowadays no American tenor is more in demand than Lawrence Brownlee when it comes to the bel canto repertoire. And it’s easy to imagine the impression Brownlee’s voice—with its signature combination of sweetness, warmth, and flexibility—would have made on Gaetano Donizetti, or any of the bel canto composers. With their elegant melodies and deeply felt emotions, they were writing, it seems, specifically to Brownlee’s strengths, and he has proved that he has the versatility to excel in the distinctive styles developed by each member of bel canto’s famous triumvirate: Donizetti, Bellini, and Rossini. The star tenor is speaking by phone from a hotel room in Berlin during a rare day off in late summer, before heading to Palermo to sing Rossini. 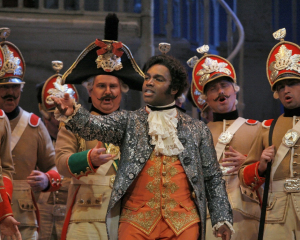 His next stop: Seattle, to sing Tonio in The Daughter of the Regiment. Anyone who meets Larry Brownlee in person can attest to the down-to-earth, uncontrived modesty that likewise comes naturally to this son of the rustbelt city of Youngstown, Ohio. While Brownlee’s international reputation is particularly associated with his interpretations of Rossini, Seattle audiences have had the opportunity to hear and see him put his stamp on major roles by Bellini and Donizetti as well. 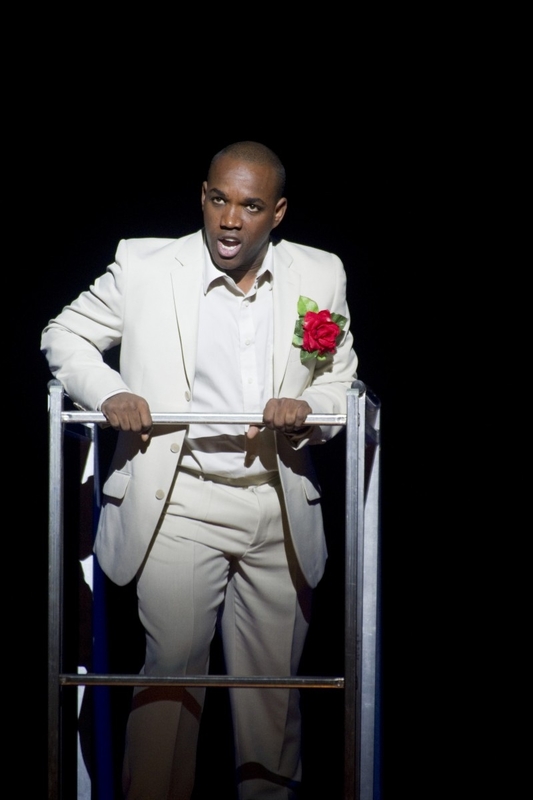 Brownlee made his mainstage debut at Seattle Opera in 2002 in the opera buffa Don Pasquale as Ernesto, singing another of Donizetti’s lovestruck comic heroes. And his uncompromising rendition of the high-wire vocal line assigned to the male protagonist Arturo in Bellini’s I puritani in 2007—including a full-on F above high C, not falsetto—now belongs to company legend. This coming spring Brownlee will sing the role at the Met for the first time. “You can’t even find that on records!” says General Director Speight Jenkins, whose capacious memory-archive of a lifetime of performances can rekindle the live excitement of those Bellini nights apparently at will. Jenkins, renowned for his ability to recognize the potential in young singers with startling accuracy, remembers the thrilling experience of hearing Brownlee in a rehearsal room back in his days in the company’s Young Artists Program, which he joined in 2000. It became immediately clear to Jenkins that the tenor (at the time only in his late 20s) could have a major international career. The Seattle production of Daughter presents the opportunity for a family reunion of sorts. 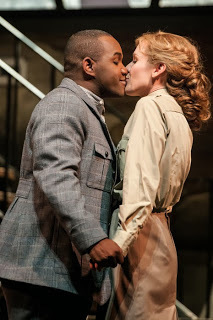 Peter Kazaras had directed Brownlee in the 2011 The Barber of Seville, and Sarah Coburn, as Marie in Daughter, once again plays the object of Brownlee’s determined love. The two also appeared together in the Seattle Opera Young Artists Program’s La Cenerentola in 2002 and in the 2011 Barber, with Brownlee singing his signature role as Rossini’s Count Almaviva. “This isn’t an easy business—I don’t know how people did it before Skype. My wife, Kendra, and I spend hours together with our Skype turned on, just to be able to share in the unsaid things of daily life.” Brownlee registers his excitement about being able to have the whole family in Seattle for Daughter, along with an extended circle of relatives. Brownlee’s positive attitude helped him bypass what he was told by some would pose serious stumbling blocks. 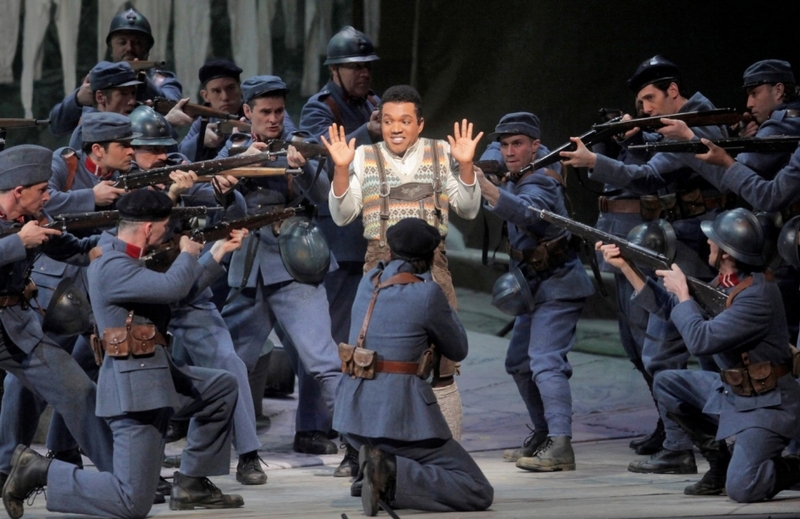 Though no longer so blatantly tainted by racism as it once was, the mostly-white opera world can still throw up less explicit barriers to African-American performers. Brownlee, who appears incapable of harboring grudges, refuses to dwell on the fact that he was told by some that his ethnicity would keep him from being cast in leading roles. Concerns were similarly expressed that the tenor’s stature—at 5 feet six inches—would inevitably hamper his career, no matter how extraordinary were the gifts he had to offer as a performer. Thankfully, Brownlee refused to listen to any nay-saying. Seattle provided his first platform, and it was from this region that he was selected one of the winners—along with Sarah Coburn—of the Metropolitan Opera National Council Auditions. Only a year later, when he made his professional stage debut, he was invited to perform at La Scala, and his career kept accelerating, with major European bookings filling out more and more of his calendar. Brownlee prefers to focus on his gratitude to all those who have inspired him on his path: from courageous pioneers like the tenor George Shirley, who paved the way for Brownlee’s generation —and whom Brownlee reveres as one of his mentors—to the colleagues he regularly refers to as if they’re all part of an extended family. Certainly Brownlee left indelible memories of his last venture in Seattle. 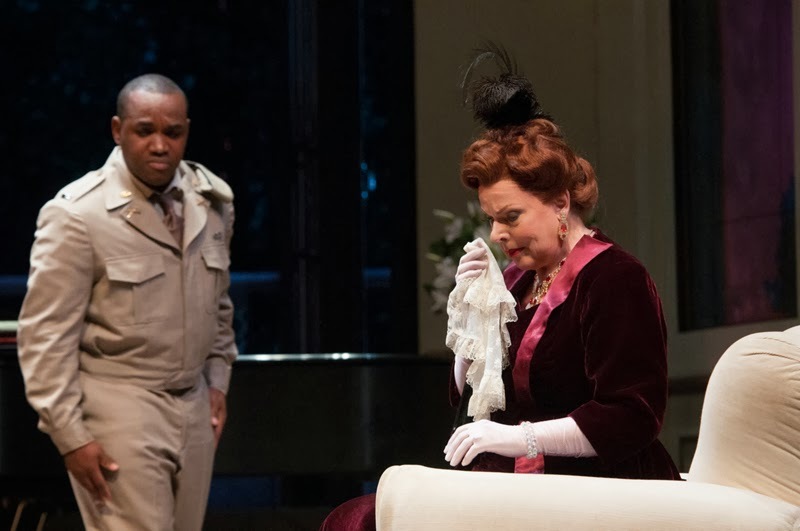 Along with the ravishing vocalism of that Barber production, it amply demonstrated the tenor’s considerable comic talents—his turn as Rosina’s music teacher incognito ranks as the most hilarious I’ve yet seen—and his capacity to bring out a character’s essence. Later this season Brownlee will be back in Europe to sing Donizetti at the Vienna Staatsoper (Nemorino in L’elisir) and Rossini in Munich (for Il turco and Cenerentola). His newest recording, Spiritual Sketches, meanwhile represents an entirely different direction that he hopes to pursue further. A set of ten arrangements of traditional spirituals for voice and piano by one of Brownlee’s friends, this latest release reveals what will sound like a whole new dimension to the tenor’s art to those who know him as a bel canto expert. 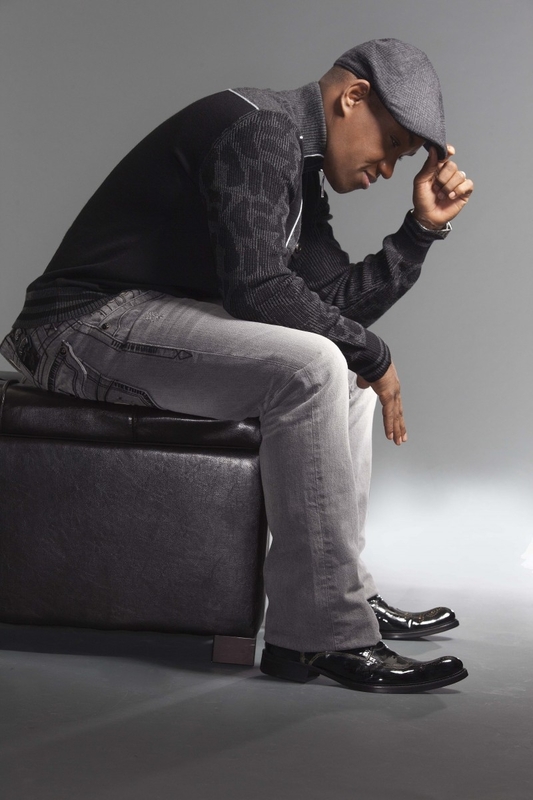 Yet here Brownlee looks back affectionately to his musical beginnings, recalling his boyhood singing in the church gospel choir with his family. (C) 2013 Thomas May. All rights reserved.